The attorneys at the Law Offices of John Danielski handle all types of divorce cases throughout Southeast Michigan. 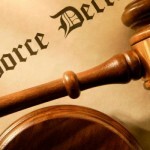 Divorce Lawyer will work toward helping you obtain a fair judgment. Furthermore, if you want to fight, John will fight. On the other hand, if you want to settle quickly and quietly, we can do that, too. Or if you want a combination of the two methods, Divorce Attorneys can tailor the approach to fit your divorce case needs. Real estate holdings, valuable collections, stock options and retirement pensions can complicate a divorce. Thus, making it imperative that you hire a knowledgeable attorney with trial experience. Attorney John Danielski has represented many people at trial. Furthermore, he has the skills to help the court understand your side of a complicated divorce case. In a complex divorce case, extra attention should be paid to the potential value of individual assets. So, that you can have financial security in the future after the divorce. The Law Offices of John Danielski also represents individuals in their separation, adoption, paternity and guardianship cases. Or, the law firm can help you obtain a domestic violence or personal protection order if you and your family feel threatened.